Thinking of a gift idea for a friend, colleague or member of your family? 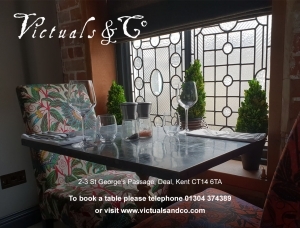 A gift voucher to dine at Victuals is a perfect way to treat them; whether it be a present to celebrate a special occasion, a work reward or simply to say thanks. Simply select a voucher template, personalise, choose a value (minimum £25), provide recipient details and pay securely via PayPal. Just follow the steps below and the voucher will either be emailed directly to your email address, ready to print out or sent to your recipient’s email address.